Head of School, Dr. Leslie Smith, is beginning her 12th year at Orange Lutheran High School and has been a dedicated educator for over 27 years. 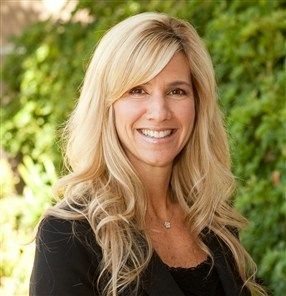 A life-long learner and graduate of Pepperdine University in Malibu, California, Dr. Smith holds a Master of Arts degree in Education, Curriculum and Instruction, K-12, a professional clear multiple subject teaching credential, and she is currently completing her doctoral degree in Organizational Leadership at Pepperdine University. Known for her genuine care and concern for every student, Dr. Smith has earned the respect and confidence of the student body because they know and trust her to have their best interest at heart. Concerned about adolescent health and well-being, Dr. Smith is leading the effort at Orange Lutheran to “redefine the high school experience” to one that prioritizes the development of healthy, strong, caring students who are inspired, challenged, strengthened, and prepared for college and a Christian life of purpose, service through vocation, and leadership in a global society. In June 2016, Dr. Smith was honored with the Growing Leaders Award at the National Leadership Forum in Atlanta by Dr. Tim Elmore for her work in cultivating a leadership culture on campus. Seven key ideas summarize the pivotal focus of the OLu Experience as highlighted in the Spring/Summer 2017 issue of the ALSS Journal. She has published several articles and is frequently invited to speak with students, parents, and educators at assemblies, community events, and conferences. Dr. Smith was selected to present at the Hawaii International Conference on Education in January 2018 on "The Unintended Consequences of the American College Dream: The Price of Perfecting the Profile at the Expense of Preparing the Person." Dr. Smith resides in Anaheim Hills and has three children: Alyssa, an alumna of Orange Lutheran, Class of 2011, graduated from Pepperdine University in 2015 and is married to her high school sweetheart, Chris Gibbons, Class of 2010; Angelia, Class of 2013, graduated from Point Loma Nazarene University in January 2017, and Danny, Class of 2021.